Lot parking on the corner of Hubbard & LaSalle. Small business owners have many challenges, and one of the biggest is to determine what makes them stand out from the competition. 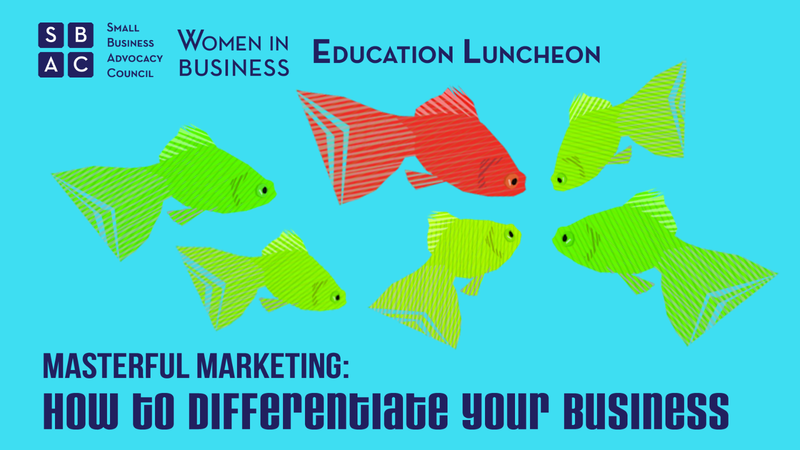 Please join the Women in Business Committee for a panel discussion involving a group of influential subject matter experts who have successfully developed a competitive edge for their companies through branding and marketing innovation. Jeanne Sparrow is a communications consultant, specializing in media and presentation training through her firm, The Spoken Bird. Jeanne believes that words are power and that they possess even more power when communicated well. 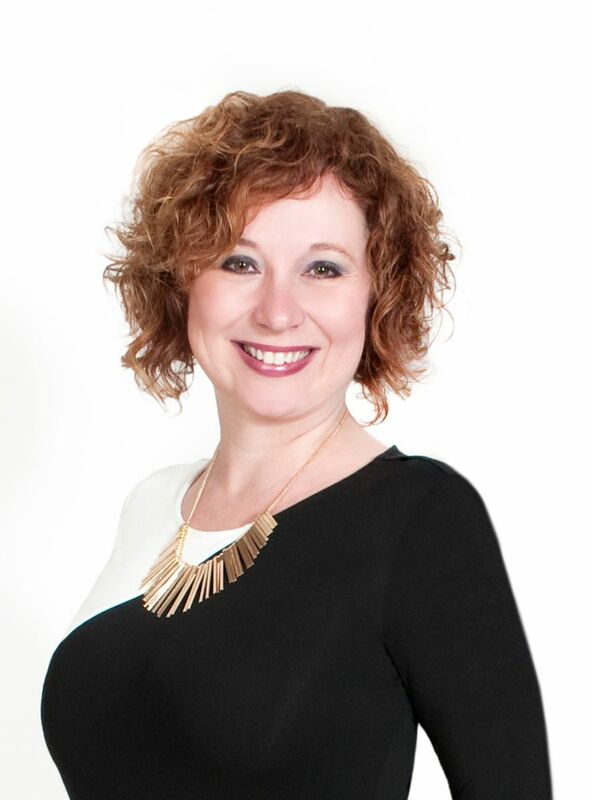 She helps her clients elevate their communications skills at any experience level and guides them to presenting their personal brand with confidence and comfort… whether it’s as a team leader, presenting to a small group of colleagues, speaking at a conference to a large audience, or appearing on camera. University, of which she is also a proud two-time alumna. Iris Marreck, owner of Iris B. Branding & Communications, has over 30 years of branding, graphic design and marketing experience in the Chicago metro area. Before starting her own firm, she was Associate Creative Director at K & R Advertising, a leading consumer services firm. There, she developed her solid grasp of marketing and expertise in all elements of design and communication. A voracious reader, wine lover, mother of two and avid jazz enthusiast, Iris has helped propel her eldest son, Sam Barsh, to national prominence in the music scene, designing his CD covers, marketing his news and building his fan base. She brings the same passion to helping her clients define their brands, building coordinated marketing efforts to grow business through the roof. When not immersed in one of her creative passions, Iris is involved with her community. She has served on the boards of Literature for All of Us, A Just Harvest and Beth Emet Synagogue. She is also an active committee member of the Magnificent Mile Association and EPWNG, on the Women In Business Board of the SBAC and the SBAC Empower Board. Her client list includes a large number of non-profit organizations. Among them H.O.M.E., Cystic Fibrosis Scholarship Foundation, Literature for All of Us, OSRUI, EPWNG, Hebrew Theological College, Iraqi, Christian Relief Council and Twist Out Cancer. After working successfully together for several years, Iris and two strategic partners, Rickey Gold and Steven Stern, formed a new website design and internet marketing company 4 years ago. What A Great Website is dedicated to creating marketing-driven custom websites. 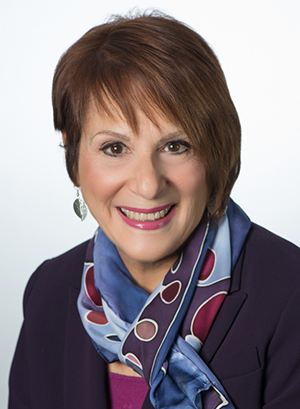 Joanna Sobran is the President and CEO of MXOtech, an IT services company that offers a comprehensive suite of technology solutions. As the IT Concierge for clients, MXOtech delivers technology services ranging from outsourced Managed IT Services to Custom Business Application Development, System Integration and Business Process Improvement. Joanna began her career in the healthcare industry working for two successful women entrepreneurs and later moved into IT, combining her healthcare and technology business expertise. Her knowledge of these two practice areas, along with her business development skills, became the foundation on which she built her own successful company. Joanna drew her true inspiration from her two mentors as they grew a successful woman-owned enterprise; created opportunities for career growth, and fostered a positive impact on their community and clients. Joanna is the innovator and driving force behind MXOtech. She focuses on overall vision, solution development, marketing, and strategy. Her talent for taking ideas and turning them into applicable solutions that fuel a client’s growth quickly set her apart from the competition. Joanna knows how important the MXOtech team is for the success of a company. Every day she drives home the set of core values her leadership team exercises while growing their teams, allowing MXO to offer the best solutions and services to their clients. Joanna is regularly invited to speak at industry and networking events, academic institutions, and conferences. She speaks personally about her experience as an immigrant coming to the U.S. and how she turned her challenges into opportunities. She has presented on leadership, culture, sales processes, marketing, business process improvement, cybersecurity, business continuity planning, cloud computing and more. She has spoken to intimate groups to upwards of thousands. Founded in Chicago in 2005, MXOtech was recognized as one of the nation’s fastest-growing outsourced IT companies by Inc. Magazine’s “Inc. 5000” list. MXOtech also holds the MSPmentor 501 global designations as a leading, trusted provider of Managed IT Services, and has been recognized on the CRN Next Gen 250 list as one of North America’s top solution providers of emerging technologies. Plus, some of MXO’s healthcare applications have been nominated for Innovation Awards and adopted by Fortune 1000 companies to be utilized throughout the enterprise level.